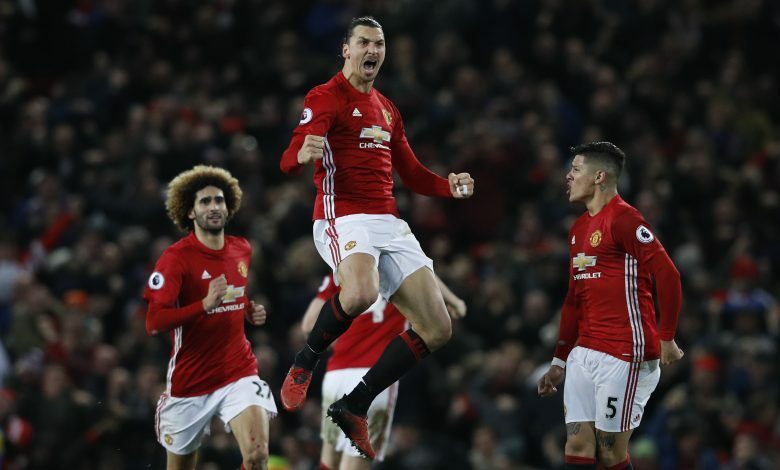 Jose Mourinho will be relatively pleased with the way his team has performed in recent times and will be particularly happy with the form of one Zlatan Ibrahimovic. The Swedish international, who recently retired from his international career, has, in the past, won major trophies in Spain, France and Italy and moved to the Old Trafford at the start of the current season in search of success in England. The Red Devils managed to snap him up on a free deal for a year and the 35-year old has established himself as one of the best goal scorers even in the Premier League already. At his age, Zlatan does not have too many years left in him but it is understood that Manchester United wants to extend his contract for another year. And according to Jose Mourinho, Zlatan will surely sign a new contract at the Old Trafford. Speaking to the media recently, Mourinho revealed that Zlatan is already thinking about his second year at the club. “I’m totally convinced he is going to stay,” he was quoted by Sky Sports. “He came with the intention to stay two years, but in the minds of everyone the first year is going better than every expectation,” he added. However, the former Real Madrid manager went on to say that the next season would probably be his last as a professional footballer. He said that the striker is completely determined to help the club back to his best and that he would surely end his career at the club as a professional footballer. He said, “He knows we are going to try again to improve next season and try to share with him, in a fantastic way, probably the last year of his career at the highest level. “So I’m convinced that he’s staying, he’s adapted to the club, to the situation,” Mourinho added. Mourinho also revealed that there is hardly any problem with either his family or in his time at the club to suggest that he will walk away at the end of the season. “I don’t see any problem with his family. I gave him the possibility of a few days off to go to Sweden, but he doesn’t want to, he prefers to stay here, so I’m totally convinced he is going to stay,” he added. It will be a huge boost for Manchester United if they can keep their star striker for yet another year.